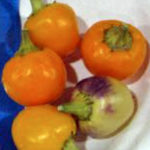 One of the earlier varieties of pimento and it has it all. It’s bright red, sweet and fruity. 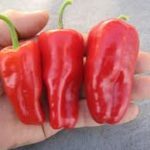 Pimentos are characterized by sweet, juicy, thick flesh making them great for fresh eating as well as roasting or stuffing into the middle of an olive. 77 days red. Open-pollinated. Indeterminate = Plants continue flowering and fruiting throughout the season so are taller and need to be staked. 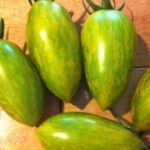 Determinate = Plants tend to load with fruit within a window of time (which is usually the length of our short season in Maine anyway) – nice for canning! 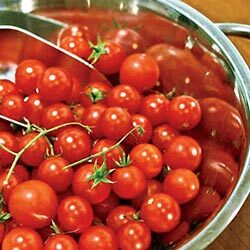 I would still stake these, but an average tomato cage is plenty tall and strong enough. Days to maturity = (ex. 55 days green, 75 days red) general estimated days from transplanting until first fruit maturity. 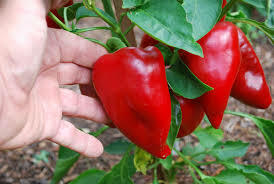 The example above means the pepper will be edible green by 55 days from transplant, if you leave it on the plant, it will be red ripe by 75 days. This number is somewhat variable for each garden and seasonal conditions. We source our seed from reputable and ethically sound sources preferring organically grown seed. Never treated. Never GMO. 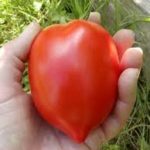 No Monsanto or Seminis varieties (sorry, Early Girl tomato lovers – you’ll want Bloody Butcher, also an early variety and every bit as good, if not better). *Note: Our seedlings are raised organically! 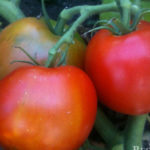 We offer mostly open-pollinated varieties (the seeds saved will grow true to type) with a few favorite hybrid varieties. Hybrids are in no way, shape or form genetically engineered! (There are no GMOs on our farm!) It simply means a plant of one variety pollinates another variety. It happens in nature every day and breeders have been using this technique for hundreds of years. Some hybrids have been stabilized and have become some of our favorite open pollinated varieties. 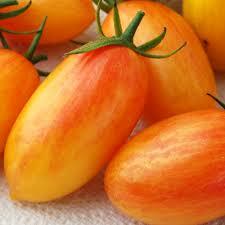 It is vital to preserve our open-pollinated heirlooms. It is also fun to explore and enjoy the added vigor and disease resistance that hybrids offer. 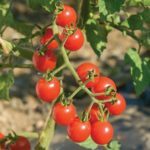 While the seeds you save from a hybrid variety will not grow to be exactly like the plant you saved them from, they contain a smorgasbord of traits from the parent plants that might show up in delicious new ways. © 2017 One Drop Farm | Andrew and Ann Mefferd. Do not reproduce images or text without permission.